The Bear and the Nightingale and The Girl in the Tower are the first two books of the Winternight Trilogy. An enchanting story set in Russia in the middle ages. It is full of magic, Russian folklore, and the shift from pagan beliefs to Christianity. It also features a marvelous, strong heroine in Vaslisa. 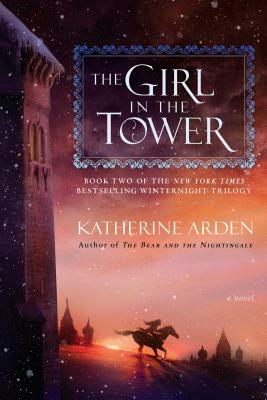 Katherine Arden is the author of the national bestseller The Bear and the Nightingale. Born in Austin, Texas, Arden spent a year of high school in Rennes, France. Following her acceptance to Middlebury College in Vermont, she deferred enrollment for a year in order to live and study in Moscow. At Middlebury, she specialized in French and Russian literature. After receiving her BA, she moved to Maui, Hawaii, working every kind of odd job imaginable, from grant writing and making crêpes to guiding horse trips. Currently she lives in Vermont, but really, you never know.